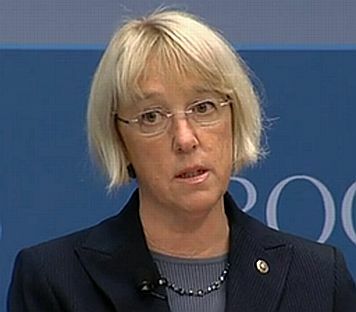 Patty Murray, Democrat Senator from Washington State has long touted herself as the “best friend” Veterans have. And she has successfully thrown some money towards veterans and enjoyed many a photo-op with Veterans and cutting ribbon ceremonies. Sadly, the calls sound like little more than recorded rhetoric we heard from her in 2007 when it was discovered that one building at Walter Reed Hospital was in deplorable condition as she and other Democrats politicized it, demanding then President Bush’ head on a platter.